Handcrafted sausage can be made from many recipes. At Flocchini Family Provisions, our sausages are simple. Made with the fewest ingredients possible, we focus on using whole muscle meats and only the finest herbs. 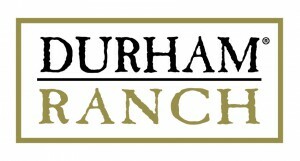 Durham Ranch has a unique line of exotic sausages unmatched by the competition. From alligator to wild boar, choose from an array of smoked or seasoned specialty and exotic game sausages to spice up a pasta dish or add unique flavor to a BBQ. For a full line of sausage products, see the exotic section of the product brochure.